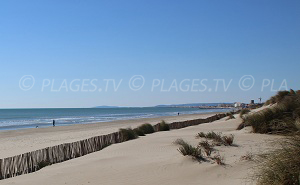 Maguelone Beach is located between Palavas les Flots and Frontignan. 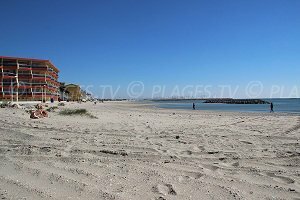 This sand and pebble beach (depending on the areas) stretches about 8 km between the Mediterranean and the ponds of Pierre Blanche and Prevost. 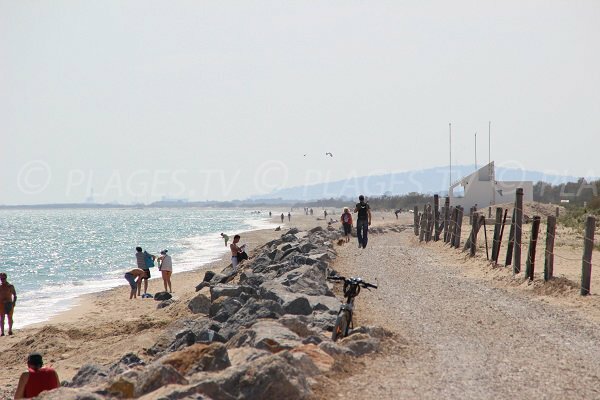 This is one of the wildest beaches in Languedoc-Roussillon and it belongs to the commune of Villeneuve-lès-Maguelone. There is a first aid station at the Cathedral of Maguelone, 300 meters after the car park in the direction of Frontignan. There is a pebble beach in this area (see pictures). 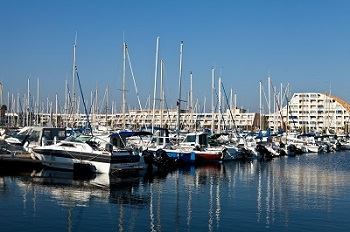 There is an area where one can enjoy water activities such as kite surfing between the cathedral and Palavas. 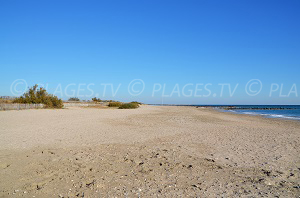 Prévost Beach is located in the direction of Palavas (which is the continuity of Maguelone Beach) with a first aid station. There are two ways to access this beach. 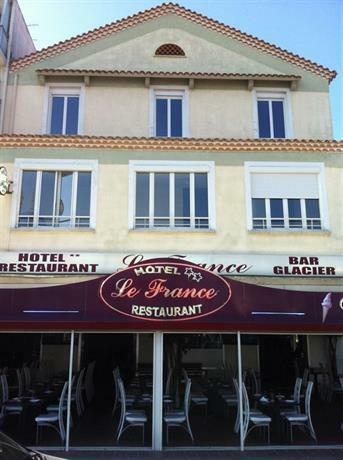 From Palavas les Flots, go in the direction of Maguelone. There is a first car park after the bridge and the campsite. 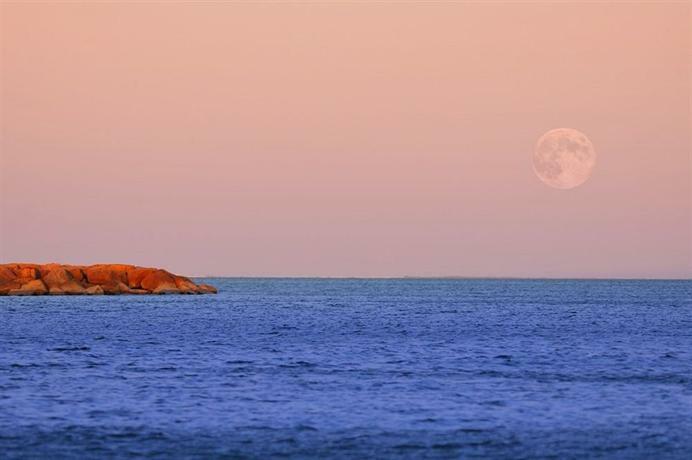 This is Prevost Beach. 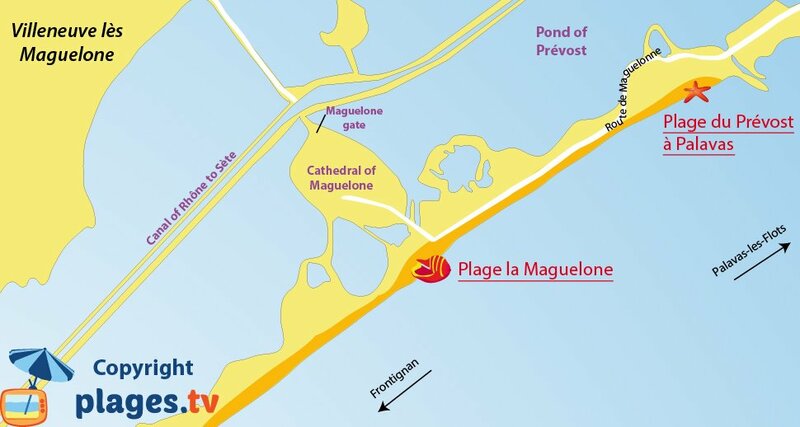 There is a second car park near the Cathedral of Maguelone towards Frontignan about 2.5 km away (the road is closed in summer - access on foot or by small train). 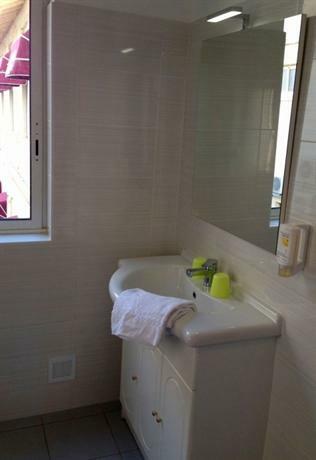 It is located 300 meters from the aid station. 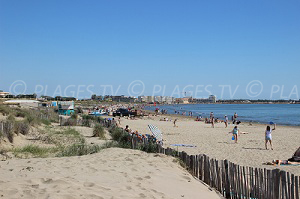 The second way to access this beach is from Villeneuve-lès-Maguelone. One must follow the direction of the cathedral; there is a car park before a bridge (pedestrian). 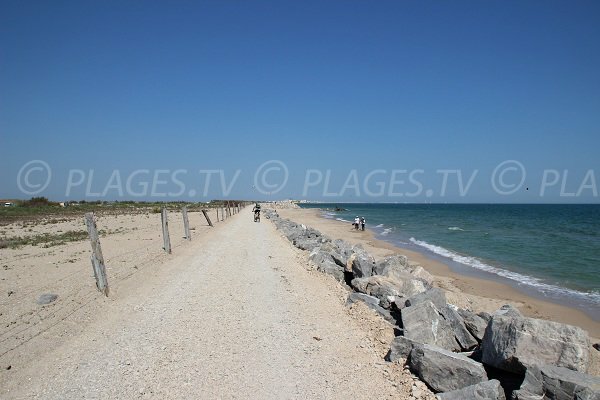 Walking trails provide access to the beach past the gate of Maguelone and the cathedral (about 2.5 km away – it is possible to take a train depending on the season and time). 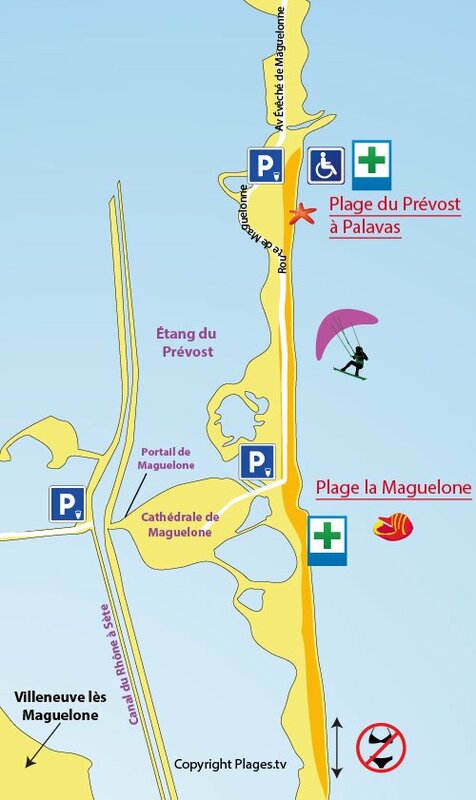 Note that there are two private beaches on Maguelone Beach, one near the car park and the other further west (access by train). 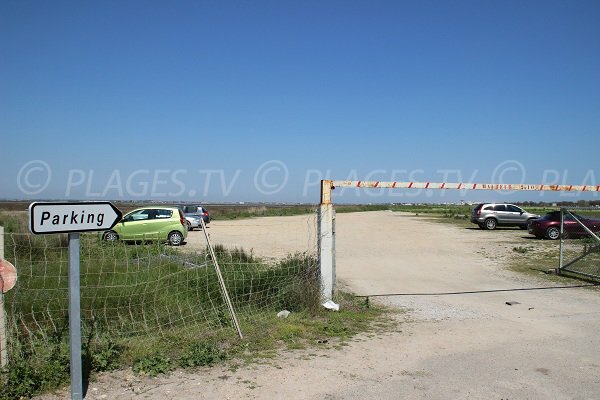 This is the car park of Maguelone Beach (at the cathedral but on the seafront). Palavas les Flots is in the distance. A path goes along the beach. The area between Palavas and the cathedral is mostly sandy. This area is not monitored. This is the center of the beach (at the car park at the same level as the cathedral). The aid station is on the right. The beach widens at its level. One can see Frontignan in the distance. 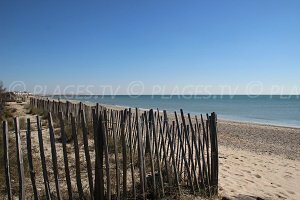 This beach stretches to Aresquiers of Frontignan Beach. 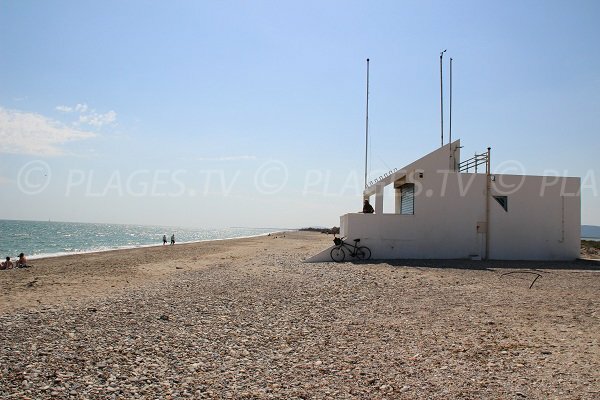 This is the aid station of Maguelone Beach. 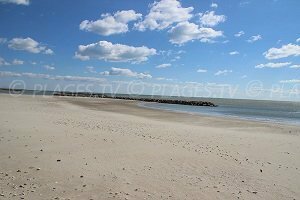 Here, the beach is covered in pebbles at the back of the beach and covered in sand on the seashore. The beach is covered in pebbles away from the aid station. 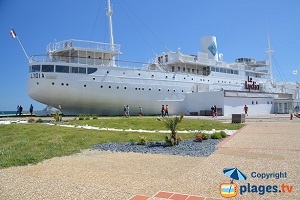 There is a large car park next to the beach from Palavas. 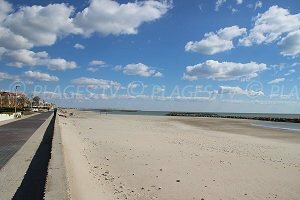 One can also access this beach from Villeneuve lès Maguelone from downtown. In this case, there is a car park just before the bridge. A hiking trail leads to the beach (there is also a train providing connections in summer). Here, one can see the gate of Maguelone. The gateway providing connections to Villeneuve lès Maguelone is behind it. 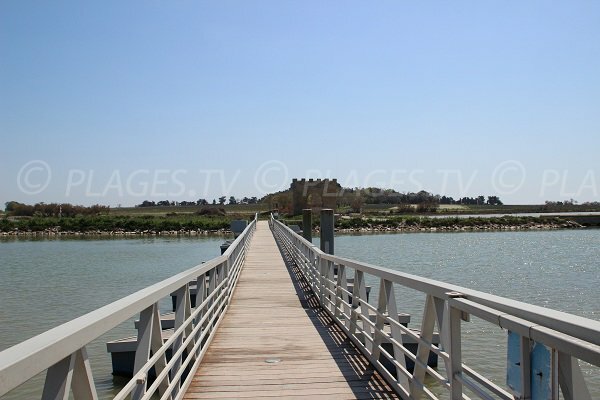 The Cathedral of Maguelone is in the center and can be visited (accessible by car from Palavas or on foot by trails - about 2.5 km from the beach).